Movement in brickwork should be considered at the design stage of a project and implemented throughout the course of the project. In general, reversible movements are caused by temperature changes. These can be calculated by referencing the coefficient of thermal expansion. 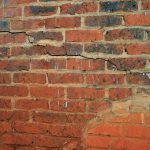 Movement in brickwork can be the result of a number of factors, one of which is, absorption of water molecules from a fired clay brick. This can cause can cause irreversible movement or expansion. This may continue for a number of years, but at a reduced rate. The spacing and thickness of movement joints is related to the detailed design, length and height of the brickwork, together with any requirements for structural restraint. For standard storey height walls, it is advisable that the joint width (mm) should be at least equal to the joint spacing (mm). Allow an additional 30% for the compressibility of the filler and the performance of appropriate sealers. The movement joints at 10m centres will need to be approximately 13mm wide and the distance between movement joints should ideally never exceed 12m. Most construction works are to a 5/6 meter grid, therefore for design purposes it is normally accepted that the movement joints should be considered at 10/12 metre centres. Movement takes place around corners and not just in straight runs of masonry, therefore it is important to include all continuous masonry in assessment. Unrestrained or lightly restrained walls (such as parapets and small freestanding walls) should be given double the amount of movement provision. In these cases, the distance between movement joints should be 5 – 6 metre centres, with coping and cappings at half these distances. Clay and Concrete units have different movement characteristics, these differences being in both magnitude and direction. 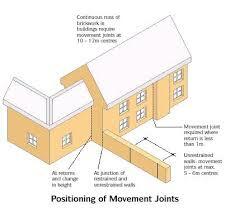 These should not be bonded together but separated by either a vertical or horizontal movement joint or slip plane. 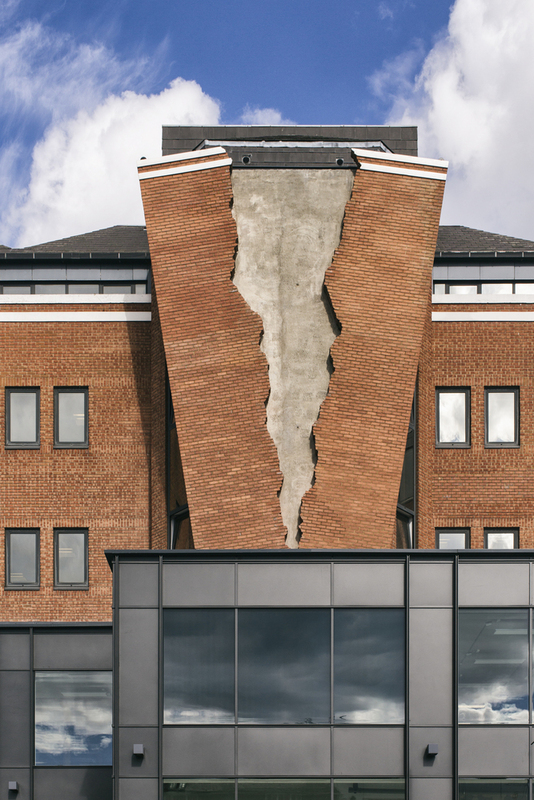 When brickwork is used to clad a reinforced concrete frame, the design should make particular allowance for differential movement. What is an Engineering Brick? 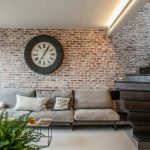 Stone and Brick Cladding Ideas for interiors and exteriors Cracks in Brickwork – How to minimise the risk.